Its one the most overused and misunderstood of Jesus’ teachings that you will probably find. I say this because this is generally used as a cop out when the debate is being lost and for the most part, most people don’t know how to properly refute this point. 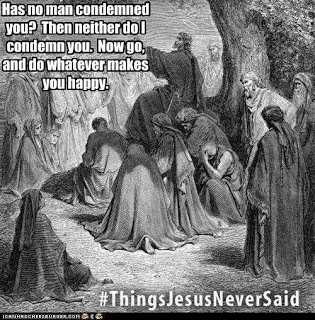 The other point I’d like to make, is that, Jesus also says a few things after he says to stop judging as well. Okay, we have a lot to go over. So, let’s begin. Yes, Jesus tells us that we shouldn’t judge, nor condemn, otherwise, we will be judged and condemned, by Our Heavenly Father. This is something that none of us want, though, we will all face when we do die. But, in Matthew’s account, Jesus tells us that what we measure will be measured out to us. This means that what we are judging them on, we will then be judged on. For example, if I am judging you out of your anger, but I myself have a temper and am angry, then God will judge me harsher for my anger than He would have been before. Jesus then tells us that we have a wooden beam in our eye, when we are trying to pick out a splinter in theirs. This makes sense, if the problem we are picking on is a much greater problem in ours, then we can’t make their issue a bigger problem than what it may be (whether or not we are right in our judgment (this excludes pointing out people’s sins if it is going to help them achieve Heaven (as we will see in a minute))). When Jesus tells us though that we are to pick the wooden beam out of our eye and then we can pick the splinter out of our brother’s eye, this goes to show that Jesus wants you to help pick out the sins in other people’s lives as it is necessary for salvation! (I also want to note that if you are pointing out somebody’s sins and you don’t struggle with those sins, then you are rightly pointing out their faults for the necessity of their spiritual well-being). Luke’s account is similar, Jesus tells us again, not to judge, and similarly what we measure out for others will in turn be measured out for us. 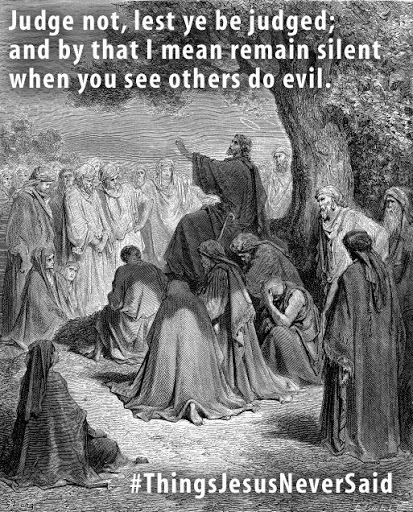 Where Luke differs is how Jesus mentions how the blind can not lead the blind. If we do not know our faith, we can not teach the faith to others, as we may just put the person in a worse position. Jesus then tells us, that if the disciple becomes well trained then he will be like his teacher. I’m pretty certain that this is Jesus telling us all, that we have the authority, when we properly understand the faith, to correct others when they fall into falsities. Luke’s account is closed with the similar removal of beams and splinters, which I mentioned earlier. In short, yes, you can judge someone’s actions as long as 1. It’s an immoral action or something that isn’t for the well-being (whether physically, spiritually, mentally, emotionally, etc) of the person. 2. You don’t struggle with it far worse than they do. The word of God refines our judgment and teaches us to judge with authority and without hypocrisyIs all about judjudgment bigining to end knowing Gods judgments and declaring them to hearts and souls nations and and government bless you.